Had guild meeting last night, aka motivation to finish up some stuff. 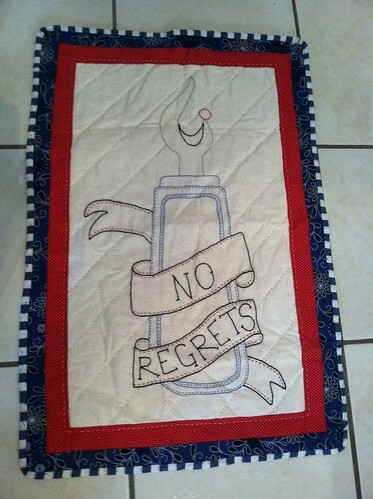 I finally finished my No Regrets wall hanging. I redid the binding and hand quilted it. I also taught myself to knit this weekend. I really like it. I just need to learnt o relax my shoulders when doing it. Definitely have some work to do on the whole consistency issue. Thanks to Kristen at So Happy for starting Take Your Time Tuesdays! 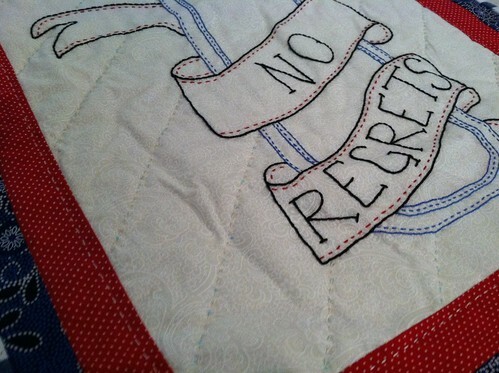 I love the wall hanging, it'd be a great motto in my sewing room. 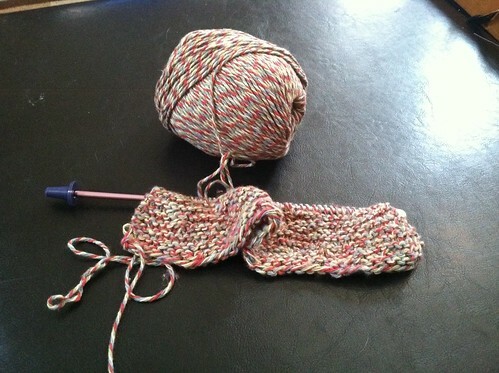 Good for you tackling the knitting, it's fun learning something new and succeeding. Found your blog thru sohappy. Looks like you're doing a great job on your handwork! Nice job on quilting & embroidering! Great wallhanging! And congrats on learning to knit! 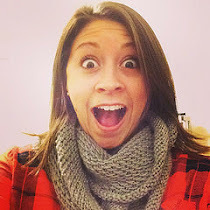 My blog is mostly about quilting, but it so happens that I mentioned knitting today! Enjoy!! !